*"Sometimes the most striking picture books are the ones that make readers see something in a new way, or that creatively express a concept regularly pondered but rarely put into words." 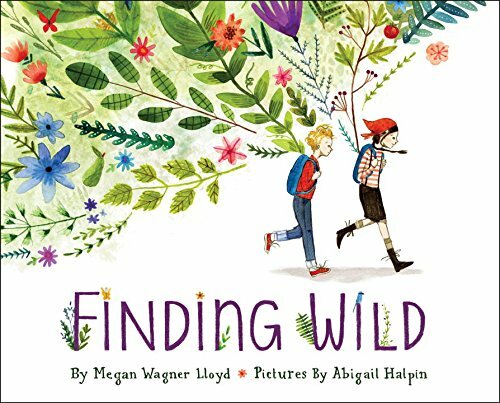 --Shelf Awareness, starred review "Lloyd’s sparkling debut celebrates nature through a whimsical meditation on the idea of wildness. Halpin’s lush and delicately detailed mixed-media pictures...dominated by muted greens and blues pull readers into the diverse landscapes the children traverse. A spirit of adventure and exploration runs throughout the book." --Publishers Weekly A lovely, lyrical picture book with gorgeous illustrations that explores the ways the wild makes itself known to us and how much closer it is than we think. There are so many places that wild can exist, if only you know where to look! Can you find it? Two kids set off on an adventure away from their urban home and discover all the beauty of the natural world. From the bark on the trees to the sudden storm that moves across the sky to fire and flowers, and snowflakes and fresh fruit. As the children make their way through the woods and back to the paved and noisy streets, they discover that wild exists not just off in some distant place, but right in their own backyard.